The Women’s Shelter of East Texas began in 1979 when two Nacogdoches women recognized a need in their community to provide services to battered women and their children. These women volunteered their time and their resources for two years, enabling East Texas women to have a safe haven in a violent world. They used their private telephone lines as crisis hotlines and their homes as Safehouses. In 1981, a three-bedroom house was donated by a local family in memory of their mother, which would later become the first Nacogdoches Safehouse and the only shelter for battered women and their children in a nine-county service area. 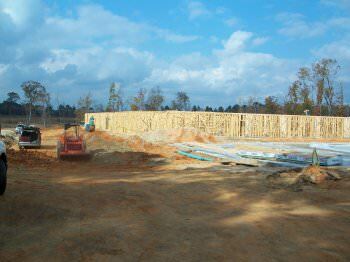 In October 2007, the process of clearing 10 acres of land for a new administrative office and a 39-bed emergency shelter began in Lufkin. This new, state-of-the-art, multi-service crisis intervention center was constructed with the contributions of generous donors from Angelina County, including the T.L.L. Temple Foundation and Mr. Clifford Grum, in memory of his late wife Janelle Grum, for which the center is named. Doors opened to the community in May of 2008. Today, the Janelle Grum Family Crisis Center of East Texas (Women’s Shelter of East Texas, Inc.) staffs a full array of professionals specializing in assistance for survivors of domestic violence and sexual assault. Those services included emergency shelter, a 24-hour crisis hotline, access to food and clothing, information and referral, legal and personal advocacy, child advocacy, counseling, support groups, job readiness training, transitional housing, homeless prevention financial assistance, child care assistance, and more. As of 2017, our agency provided 1,146 residential and non-residential clients with over 120,400 essential services.